My reaction to seeing an on-bike video of a local race with GPS and ANT+ data overlaid on the screen was "Oh this cool". I believe it was a video by James Dunn of the Kew criterium. The video itself wasn't anything new, people had been sneaking sports cameras on bikes for a while, it was the data overlay that brought it to life. With info on the screen showing speed, power, cadence, elevation, heart rate, the viewing becomes immersive. You're no longer on the sidelines or flying above the pack, you become the rider. Add in live streaming, this is the future of how we'll watch cycling. The UCI are on board, and an approval process for cameras on bikes has been implemented by Cycling Victoria. Excellent progress. When I first looked into how to add data overlays to videos, and it wasn't easy, or free. That's changed. 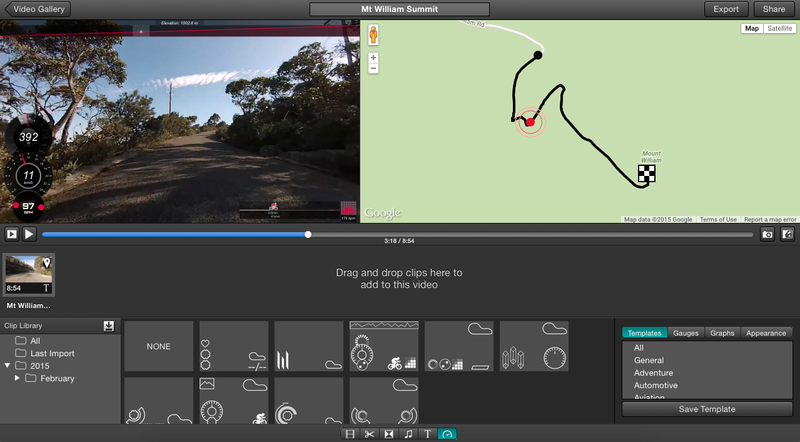 Garmin VIRB Edit (PC and Mac) is free, and pretty easy to master. 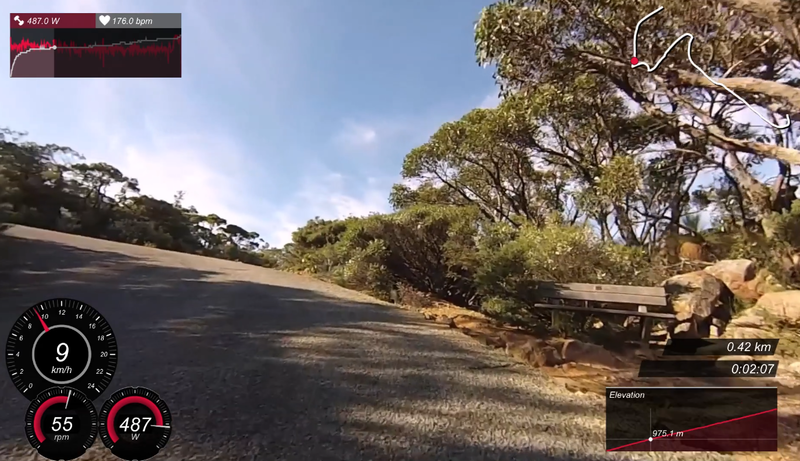 VIRB Edit is designed for combing video footage from their VIRB action camera with data from a compatible Garmin device, a bonus being you can use footage from anything that uses the MP4 video format. I've been using a GoPro Hero 3 and combing the data from my Garmin 800 head unit. Import Other.... not just for VIRB cameras! Choose your data sources / gauges / customise them. GPS sync can be tricky to begin with, nothing a bit of trial and error won't resolve. That's pretty much it. Add titles, tunes, export the video, and you're done. Now there is no excuse for posting raw #forverbutt videos from your Fly6, Fly16, GoPro, Garmin VIRB, Shimano Sport Action cam (once the video is converted to MP4). iMovie on the Mac is handy for joining/chopping/converting raw footage from cameras. It has a number of edit options, and basic stabilisation. Stabilisation - A necessity for the roads we're on. ProDrenalin looks to be the best and easiest to use, although it isn't free. It can also remove some of the fish-eye effect that is common with sports cameras. - Capture raw footage on camera (720/1080). - Record ride with Garmin 800. - Import movie file(s) into iMovie, trimming start/end points, export to a single MP4. - If required, stabilise raw video with ProDrenalin, export to MP4. - Load Garmin VIRB Edit, load stabilised video, adding overlay template, then match up GPS/data sync. - Export final video to MP4, upload to YouTube. Done! You might be able to skip the iMovie step and import direct into VIRB Edit, leave a comment and let me know if this works fine, or any other ideas for getting the job done. Hi - does this need the VIRB Elite or can the basic VIRB do it? Any sports camera that can produce MP4 footage will work. And if it doesn't, there are programs that will export almost any format as MP4. the VIRB video editor. Only manually to do the time alignment ? 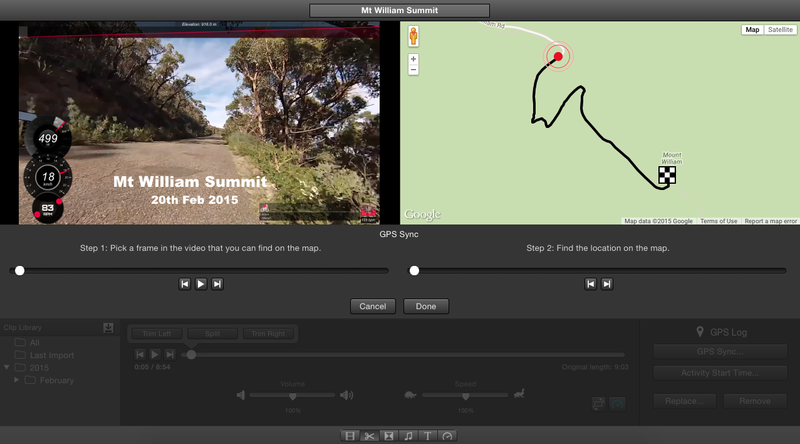 VIRB Edit has a great sync option for FIT/GPX files using an on screen map. Works great for partial video/data projects.